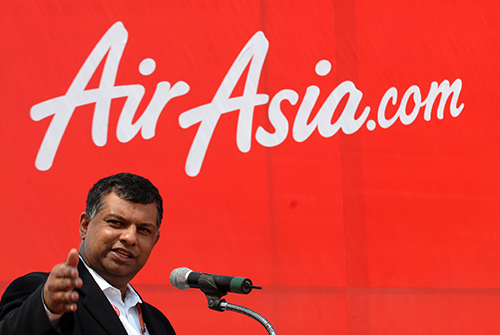 Tony Fernandes wants to take over Southeast Asia with his latest venture, BigPay. The fintech firm, already the fifth top finance app in Malaysia today, aims to expand to Singapore, Thailand and the Philippines in the future. Big things are expected from BigPay, but there are more reasons why the company is a frontrunner in the FinTech business with dozens of other competitors. BigPay's Group CEO and co-founder, Christopher Davison said that a large factor in BigPay's success so far is its corporate culture. This freedom is also one of the key reasons why AirAsia was named one of Malaysia's most attractive employers to work for in 2018. When it comes to hiring, Tony Fernandes prefers those who are hungry and "really want something to prove". “If you look at everyone in my team, a lot of people (are those) who never made it and were never given the chance. We have a lot of people who left school at 13 who are very senior in our companies,” he said. “I look for people with the drive (and) who want to prove something,” he added, saying that these people should also have great communication skills and be team players. There is no hierarchy in AirAsia. All staff, regardless of rank, have access to the CEO. Started with 200 staff, AirAsia now employs over 20,000 staff. But it does not manage them like a regular airline. “We’re probably one of the airlines of our size with no unions… and we’ve never had an industrial issue ever,” Fernandes said. He said that the key to talent retention is “transparency and the ability to communicate with anyone at any time”. Fernandes also highlighted the importance to move and grow professionally within the company. For instance, at AirAsia, senior management is very diverse, something he said is "not easy in our part of the world." Finally, Fernandes emphasises the need to appreciate the staff.